Sport these two-tone hoops when you need a hint of detail to polish off your outfit. 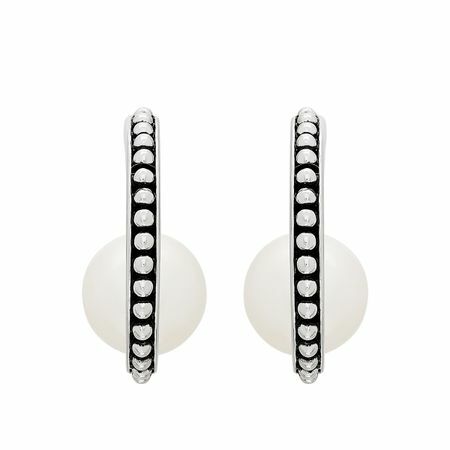 8.5-9 mm freshwater pearls sit nestled in the curve of each J-hoop earring, crafted in rhodium-plated sterling silver with silvery stations along the black enamel face. Earrings measure 3/4 by 1/2 inches and feature posts with friction-backs.